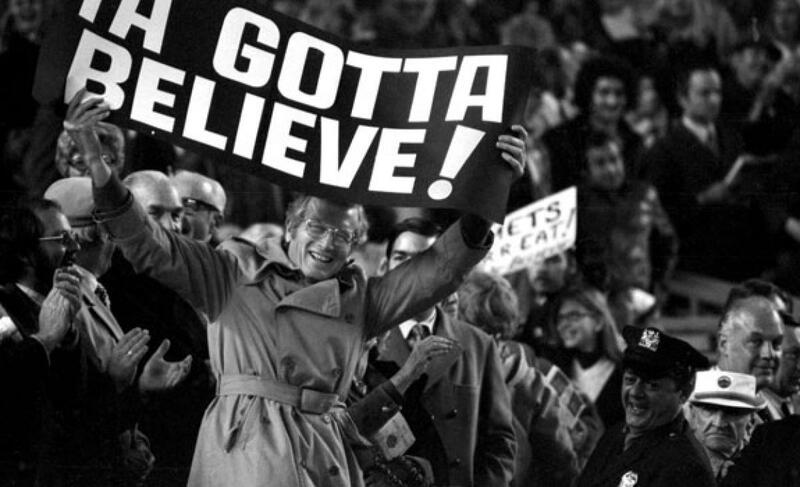 Game Recap: Mets 12, Reds 5, Lucas Duda, Noah Syndergaard are back | We Gotta Believe! The Mets (87-67) defeated the Reds (63-90) by a score of 12-5. Noah Syndergaard was brilliant on the mound, striking out 11 over 7 2/3 innings of two run ball. Syndergaard held Cincinnati scoreless through the 8th inning. Lucas Duda hit two 3-run home runs to help fuel the offensive outburst. Combined with Washington’s 8-2 loss to Philadelphia, the Mets’ magic number is reduced to 1. In the first inning, the Mets and Reds both wasted opportunities, the Mets with runners at 1st and 2nd and the Reds with a leadoff double. The Mets connected for their first run in the top of the 2nd against Anthony DeSclafani, after a double by Michael Conforto and an RBI single by Noah Syndergaard. The Mets scored 3 more in the 3rd, after a double by Daniel Murphy and a single by Yoenis Cespedes set the stage for a 3-run home run by Lucas Duda. The Mets led 4-0. Noah Syndergaard was absolutely dominant tonight, and he shut out the Reds through the first 7 innings before allowing a solo home run and a 2-out single in the 8th. Syndergaard would finish his game with 7 2/3 innings, 5 hits, 2 runs, 0 walks, and 11 strikeouts. The Mets tacked on in the top of the 7th. Ruben Tejada reached on a fielding error, Noah Syndergaard bunted him over, and Curtis Granderson doubled him in to make it 5-0. David Wright singled, Daniel Murphy singled in another run, and Lucas Duda hit his 2nd 3-run home run of the game to make it 9-0. In the 8th, the Mets added a few more after singles by Michael Conforto and Noah Syndergaard and a 3-run home run by Curtis Granderson. The Mets took a 12-0 lead. In the bottom of the 8th, after getting two lineouts, Noah Syndergaard allowed a solo home run to Brennan Boesch and a single to Jason Bourgeois before being lifted for Eric O’Flaherty. O’Flaherty allowed an RBI single after Bourgeois advanced on indifference, and Bobby Parnell allowed 3 consecutive singles to make it 12-4, before striking out Eugenio Suarez to end the inning. In the 9th, Tim Stauffer allowed a Cincinnati-style home to Adam Duvall to make it 12-5, then allowed a single, struck out two, and walked Joey Votto. Hansel Robles came in to get the last out and complete the 12-5 victory. Syndergaard was absolutely filthy tonight, and a start like this makes me excited to imagine what he could do in the postseason. Syndergaard was sitting at about 98 MPH with his fastball for the whole night. Of note for the Mets, Juan Uribe came up to pinch hit for David Wright in the 8th inning, and was unable to complete his plate appearance after appearing to re-injure his collarbone. POSITIVES: Lucas Duda is getting hot again, and Daniel Murphy continues his hot hitting. Duda was 2/4 with 2 3-run home runs, while Murphy was 2/4 with a double, an RBI, and 2 runs scored. Curtis Granderson hit his 24th home run of the season, and his first in a while. Syndergaard, obviously, was dominant, but was also 2/3 at the plate with a run, an RBI, and a sacrifice bunt. Yoenis Cespedes and David Wright were both 2/4 with a run scored, while Michael Conforto was 2/4 with 2 runs scored. NEGATIVES: Eric O’Flaherty, Bobby Parnell, Tim Stauffer. Granted, it could have been much worse, and they could have come into the game missing the strike zone like the Nationals relief corps a few weeks ago. Between the three pitchers, they allowed 3 runs on 6 hits with a walk while allowing Syndergaard’s inherited runner to score while recording only three outs. The positive here is that it is unlikely any of these pitchers make the postseason roster. Combined with the Nationals’ 8-2 loss to the Phillies (on Aaron Altherr‘s inside-the-park grand slam, no less), the Mets’ division lead grows to 8.5 games while the magic number shrinks to just 1.